Heat the olive oil in a large soup pot until it begins to smoke. 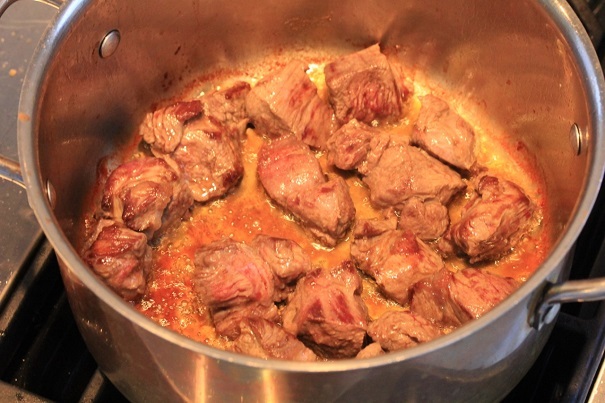 Use one tablespoon of the salt to sprinkle on the beef, then place in pot to cook, allowing pieces to brown nicely before turning (about 4 minutes on each side). You want a nice dark brown color on the meat. Add garlic and allow to cook for about a minute before adding red wine, Guinness, water, beef stock, sugar, tomato paste, Worcestershire sauce and bay leaves. Allow mixture to simmer, then cover and cook for an hour, stirring as needed. 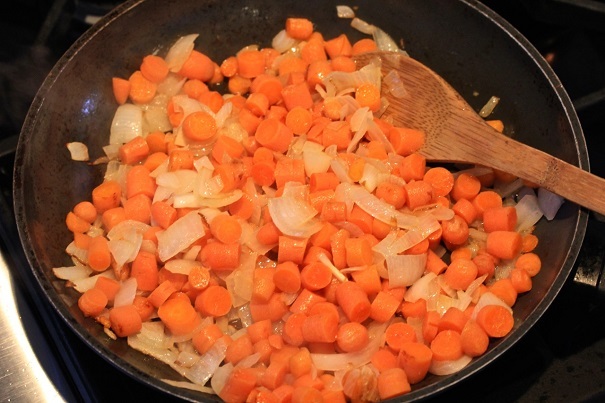 While soup is cooking, melt the butter in a frying pan and add the onions and carrots. Saute on low temperature for 15 minutes or until onions are golden brown. 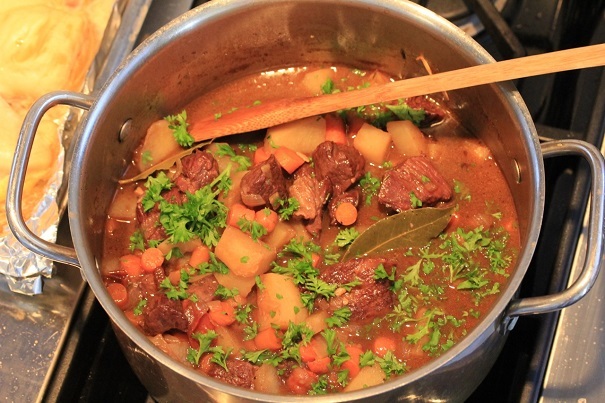 Set aside until soup has simmered for an hour. Add onions, carrots and raw potatoes to the stew. Add black pepper and the rest of the salt. Simmer another 30 minutes until potatoes are soft.